You’re “sleep deprived”, your sensorial perceptions are alterated, you can’t read the signs in front of you, it’s 3pm but to you it’s something like 5am of two days before, you still need to push till it’s time to go to sleep, otherwise you’re going to mess up all your trip. You are keeping up with a subway sandwich in your organism, a japanese subway sandwich, with salmon and avocado. Yummy. But it’s not a full night sleep. Photo randomly taken (that turned out beautifully) by Sa, thanx! 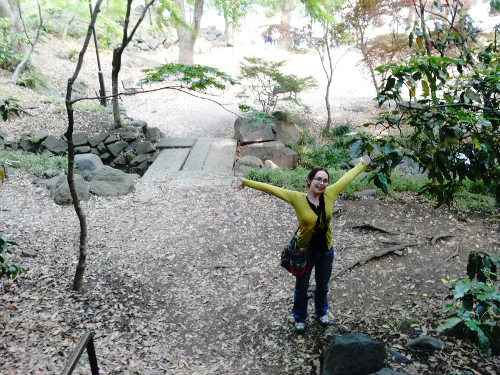 This was how we felt as soon as we got to Tokyo, over a year ago. For our honeymoon. 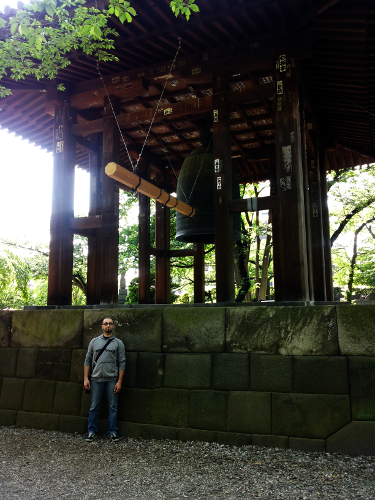 Tower of Tokyo, some gardens, a temple, a giant bell, a small but nice and clean hotel. Skyscrapers and zen gardens side by side. Lonely Planet at hand anywhere. 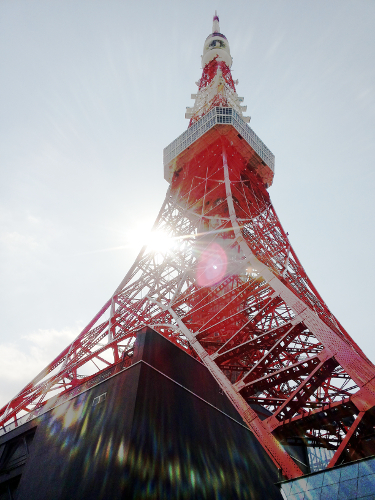 I manage to get a sunburn in a cloudy day, walking in the shadows of buildings. Yes I can. Night comes and we decide to try out Shigemaro Mitamura‘s famous food. Okonomiyaki. Guided by our book guide, we step in a small restaurant in a train station. There’s people of all ages and all types. They sit us at a tiny table with a hotplate included. 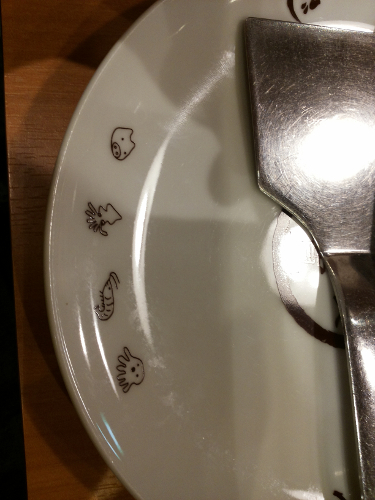 We order a starter and we get some super tender and juicy pork cubes, they bring us a super-kawaii little plate with various seafood drawn on. 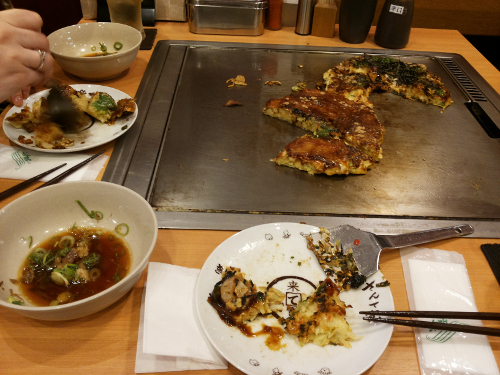 And then we get our okonomiyaki. You’ll hear about this like a “japanese pizza”… Just because it’s round and you can top it with anything you like? If we really must compare it to something else, let’s just say it’s like a salty pancake, but even this, it doesn’t cut it. It’s an okonomiyaki. Period. Okonomi means “as you like”, while yaki stands for “grilled, cooked”. While the teenagers at the table besid ours snickered at our inability with chopsticks (we were pathetically trying to cut the okonomiyaki with the spatula they came with, while the teenagers were happily cutting away using their chopsticks…) we, slowly but steadily get going and we get to taste one of the best things ever. For the recipe you’ll have to wait for the next post (ah, the suspence!!!). Nintendo DS and ebook reader, it’s possible!